Starting next year, University of Chicago students may be able to seek support via text message from an anonymous network of their peers. 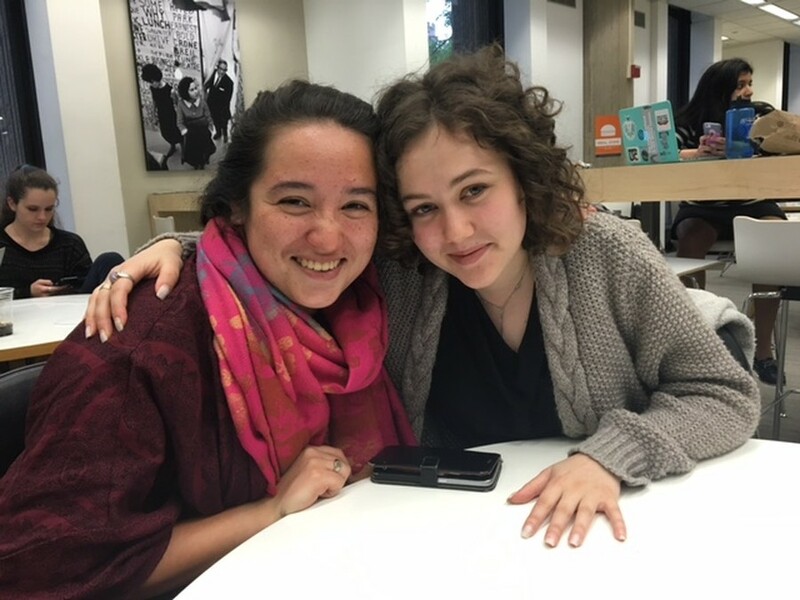 University of Chicago’s chapter of Lean On Me, a student initiative that began at MIT, was founded winter quarter by second-years Sophia Sheng and Ariella Katz. “We are matching compassionate individuals with texters who may be having a bad day and just want to talk to someone, but [their] friends aren’t available to talk,” Katz said. “Sometimes there are things that you don’t feel comfortable talking about with someone who knows you, but you feel like you kind of need to get something out. So, we’re hoping to provide a peer individual who will listen to you and let you share what you are feeling without the judgement or trying to give you advice,” Sheng said. Katz found out about Lean On Me from her high school friend who was helping to develop software for the initiative. “I found out that MIT was working together with Samaritans of Boston, which is a hotline…which is rooted in providing the same support that a non-professional can provide. I missed [volunteering for Samaritans of Boston in high school] and I felt that this was really lacking in this community,” Katz said. Katz and Sheng are planning to use some of the technology developed by the organization at MIT to start the text network at UChicago. During winter quarter, they gauged UChicago students’ interest in an anonymous text network via Facebook polls. This quarter, they have been spreading awareness for the organization through a Facebook group and with flyers. They have also been building a leadership team and gathering volunteers to join the network. “We are now looking at about 29 [involved members] including us,” Sheng said. They have hosted two training sessions for future peer supporters so far, led in part by Samaritans of Boston via Skype. “We had our second training on Sunday where we had people come in and give talks on what they had been doing in their own communities [in terms of mental health and illness] and then we had a scenario portion to that training,” Sheng said. Sheng and Katz noted that Lean On Me is not intended to be a source of medical support. “We are not giving them any clinical advice about what they should do because, as a peer, as a supporter, we don’t know what their situation is, and [we want] to preserve their anonymity and confidentiality, nor do I want to know what their situation is apart from what is necessary for giving support to them in that moment,” Sheng said. They hope to go live with the text network in fall quarter. However, they do not plan on applying for RSO status. “At the beginning we were like ‘Yes, totally,’ but then later we realized it would be more ideal to be financially independent because that allows us to be sustainable with whatever fluctuations with Student Government happens because I think it is important to be consistent when people are depending on us in this way,” Katz said. They do hope to maintain a connection with the administration. “We hope to solidify our relationship with the University with having them help with our training sessions. We want to know about the services they provide really well [in order to refer students to resources they provide]…but we want to be student-run,” Katz said. Their main goal is to provide more help and mental resources for students on campus and dispel the taboos associated with these types of issues. “We are hoping to start a conversation on mental illness and mental health. I do not think it is something we talk about that often because it is considered to be a negative conversation or not relevant…but we are definitely interested in working with other groups on campus that are dealing with any type of [mental] health,” Sheng said. She cited Active Minds, an RSO that works on mental health issues, as a potential group they might get involved with.